It is not unusual for people to say that Hellas, and particularly ancient Athens, represents important aspects of the beginning of European culture, and is the cradle of philosophy and democracy in Europe. 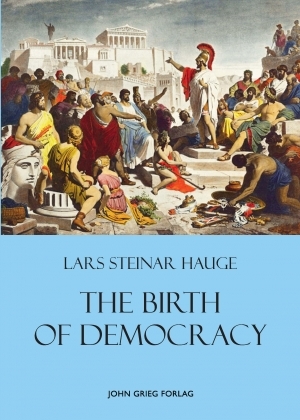 With this book the author attempts to define how and why democracy developed in Hellas, and especially in Athens, in ancient times. Lars Steinar Hauge holds a PhD with focus on philosophy, the philosophy of science, history and Nordic studies. He is also a trained teacher. He has taught philosophy and the philosophy of science for many years at the University of Bergen, several colleges and Folkeuniversitetet, and is currently teaching at NLA University College at Sandviken, Bergen. Since 2010 he has been connected with the University of Athens as a guest professor in philosophy and the philosophy of science.